IN ‘THE CHATTERBOX’: Nigerian Nobel Laureate Wole Soyinka (right) in discussion with author Paul Holdengraber. Wole Soyinka loves his Red Stripe beer. Evidently. And being in Jamaica, what better libation to wet your lips and damp your throat as your prepare to launch into a nuanced, hour-long conversation centred on your film-worthy life as a Nobel Prize winner, revered author, groundbreaking activist, scholar, educator, thinker and a man both celebrated and despised by allies and “adversaries” at home and abroad. A round of reverberating applause greeted his entrance inside the large white tent minutes before his scheduled noon-time stage appearance at Calabash on Saturday. It was the kind of enthusiastic welcome befitting an esteemed stalwart, whose buzzed-about debut appearance for the festival’s tenth anniversary generated an anticipation which only heightened as the weeks leading up to Calabash 2010 dwindled into days and hours. So, he came. My first impressions: Let’s just say I wasn’t disappointed. Soyinka, winner of the 1986 Nobel Prize for Literature, is not a spotlight glutton. As with the region’s own laureate, Derek Walcott (and other authors of their ilk) there are unmistakable traces of ego and massive pride in his character but also evidence that he craves solitude and is prone to perfectionism. And though it was quite refreshing to see him looking like a normal human being, he’s still Wole Soyinka. He’s 75, attired in a thin, breezy white cotton shirt and black pants (perfectly in sync with his crown of white and grey hair), but he doesn’t look a day over 50. What’s more, there’s faintly a hint of an African accent in his moderately booming baritone, which lends a sort of crispness to his diction and pitch. Joining Paul Holdengraber for the eagerly awaited ‘Chatterbox’ segment at noon, a conversation of engaging give-and-take ensued; an easy rapport between two accomplished literary figures, who know all too well the expectations that come with being a writer of note. 2010 marks Soyinka’s first appearance at the Calabash Literary Festival, but the laureate has visited Jamaica on numerous occasions in the past, including his trip here in 1997 to lend support to Sheila Graham, who was on the verge of launching the Area Youth Foundation, a not-for-profit artistic body (comprising inner-city youths) that uses theatre, music and dance in the fight against inner-city violence and hopelessness. For Soyinka, there are few driving forces more powerful in the quest for social change than the arts. “Theatre is a transformative social agent. The theatre brought those kids together. It gave them hope, it gave them a connection,” he told his attentive audience. Paul Holdengraber: [Looking back on your childhood], were you a troublemaker? Wole Soyinka: Adults are very funny people. They considered me as such. Soyinka: No, no, no. I loved school. I was never a truant. I found books fascinating. There were more books at school than in my father’s library. The first few months behind bars, bereft of the essentials that formed a crucial part of life on the outside, were “difficult”, Soyinka admitted. “We had daily rations of cigarettes, toilet paper and coffee." It is famously known that Soyinka wrote poems on toilet paper while in prison. How did he pull this off – when he had been deprived off ink and other writing essentials? “[In prison] you begin to think back to your school days and how you made things [during those days]. I hated Mathematics; the moment I left school I threw away my maths books. I also hated Science,” he recalled. “I’m not a pacifist, but I’d say I am a closet glutton for peace. I like my peace." Dahlia Harris (right) and Aloun Assamba got fab for the cultural affair. Great men… Mervyn Morris (left) and Linton Kwesi Johnson (unrecognisable without his hat). Christian Campbell, a very clear-eyed and talented wordsmith, reads selections from his book Running The Dusk. Gifted poet Ishion Hutchinson reads from his first anthology, Far District. The author of six widely praised novels, including Glorious, Sugar and The Warmest December, which Toni Morrison hailed as “searing and expertly imagined,” New York writer Bernice L. McFadden (one of the three delightful authors who opened Calabash Saturday) is a true talent with excellent taste for language – plus she is a total doll in person. Bernice McFadden: It’s just something I’ve always done. It’s like breathing. It’s very organic. Even when I don’t want to, I have to do it. How do you find the Calabash atmosphere? McFadden: This is wonderful; this is how it should be – a part of nature, not enclosed in a room or a conference centre. This is the way it should be. It’s fabulous. McFadden: Well, I’m just starting to read The Known World [by Edward P. Jones]. I should have read it a long time ago (Laughs). Care to share what you’re working on next? McFadden: I am working on a novel entitled The Gathering of Waters, and also a book about Emmett Till. McFadden: Whatever comes to me I write. I obey. IT’S A DOG’S WORLD: The animal kingdom will not be ignored. Refusing to be left out of the fellowship at Treasure Beach on Saturday, two diva dogs chose the day’s major moment – Wole Soyinka’s presentation – to make their grand entrance on stage this year, proceeding to ‘entertain’ with a series of twirls and poses. The audience momentarily found the humour in the situation, and Soyinka and Holdengraber didn’t seem to mind as they both took turns petting the dogs, ‘who’ – of course – basked in the spotlight. Calabash is now officially one with nature. I chatted (very) briefly with Nobel Laureate Wole Soyinka around 2:30 Saturday afternoon as he took a breather by the poolside at Jake’s in the company of his laptop and a breathtaking view of the Caribbean Sea. 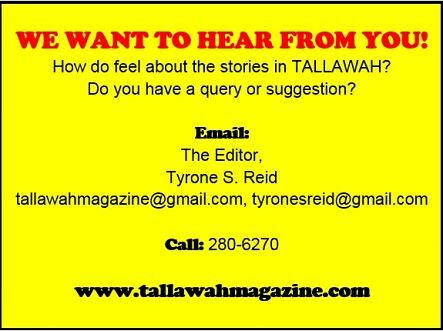 What did you enjoy most about sharing your life and work here with the Calabash crowd? Wole Soyinka: It was a terrific audience. I love it here. So has Calabash lived up to your expectations? Soyinka: Yes, it has. It’s my first trip here to Calabash. It’s my first time in Montego Bay. [Actually, it’s Treasure Beach, Mr. Soyinka]. There is a new wave of emerging African writers doing remarkably well on the international literary scene. Soyinka: Oh yes. If you go to the bookshops, you’ll see a few there. You know Adichie, Sefi Atta and Chris Abani. They are doing very well. Tell me one good book you’d love to recommend. 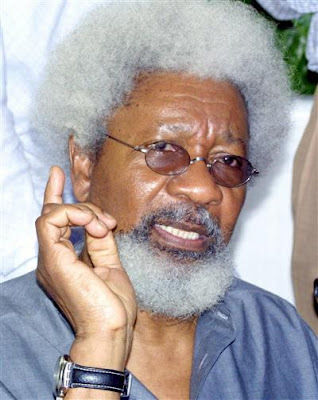 Soyinka: Chris Abani’s book The Virgin of Flames. What will your next work explore? Soyinka: You can never tell, but when it’s there, you know (Laughs). Emerging poets Ishion Hutchinson (Jamaica), Matthew Shenoda (USA/Egypt) and Christian Campbell (Trinidad/Bahamas) got busy with their pens. Cuban-American author Cristina Garcia during her enjoyable stint at the mic. Theatre mavens Veronica Salter (left) and Hilary Nicholson were on hand for the fellowship. At the inaugural Calabash Café Series on the Jake’s verandah, Kwame Dawes (left), Colin Channer and Johnny Temple were among the panellists for a lively discussion on the publishing industry and the life of the writer. Look out for the upcoming story on what came out of the discussion. Follow the leader… Justine Henzell and Wole Soyinka head to the book signing tent. It’s been quite a hectic week here on the Isle of Springs. We have been witnesses (many of us via television) to more violence than we care to see in a lifetime. Owing to the recent series of unfortunate events here in the capital and environs, a large roster of events have been either cancelled or postponed indefinitely, but, thankfully, one of the most highly anticipated happenings on our cultural calendar is not among the casualties. For locals, particularly Corporate Area residents, Channer pointed out that attending Calabash should offer great relief from the tense atmosphere in the capital city. “Calabash is a great reason for getting out of Kingston. After what has happened, people have to de-stress.” Indeed. The three-day Calabash affair kicks off on Friday night with readings from such authors as Russell Banks. On Saturday, Nobel Laureate Wole Soyinka (above) will be among the day’s highlights, while a mixture of readings and live music will close off the festival on Sunday evening. Arguably one of our most underrated young actresses, Nyanda Cammock has been quietly doing her impressive thing in local theatre and television for years, consistently striving to deliver textured, praiseworthy turns. And her run continues with a recurring role on the forthcoming new season of CVM’s Me and Mi Kru and a sizeable part in Karl Hart’s latest stage offering, Backstage, a behind-the-scenes take on life in showbiz. What does Karl Hart’s Backstage offer audiences? Nyanda Cammock: Backstage offers the audience a peek into the making of a play. It allows you to see firsthand some of things actors, producers, directors and even the production go through for [the play] to come to fruition. How do you find the chemistry with your castmates? NC: Well, we all get along. I play opposite Brian Johnson. I think we have great chemistry. NC: Wooo...wow. I act because it allows me to escape for a while, to experience someone else and to be able to tell a story for that person out there who is like my character. I act because, as cheesy as it sounds, it makes me extremely happy. I couldn't see myself not acting any at all. You seem to be living out one of your dreams as a thespian, but what do you want to accomplish outside of the arts? NC: To be a business woman. I grew up with my grandmother, and she was a business woman, so I grew up wanting to be in charge of my own thing. I would love to get into real estate, renting and selling homes, among other things. I am a lover of music, and I would love to host a one-hour segment on radio. I’m actually looking into doing it online. I am also interested in fashion. Maybe I will start my own line someday. What do you make of the current climate of violence, fear and disorder in Jamaica? What are your thoughts on the situation? NC: Touchy topic. I think we need to look at the bigger picture, which is us as a people, a unit, a nation. It is sad what is happening, and I wonder when it will end. We will probably not be able to go back to things of yesteryear, but we definitely need to think of how we are going to deal with the present if we expect to have a better future. What principles guide your life, and how do you hope to inspire others? NC: Apart from trusting God, the things that guide my life change from time to time. Most times, however, I go by ‘whatever happens, happens for a reason.’ I am also learning to live in the now. Close to two weeks after a savage attack by armed gunmen at his home in Duhaney Park left him unconscious and battling for life in hospital, O’Neil Jason Edwards, one-third of the beloved dancehall group Voicemail, is dead. Edwards succumbed to his injuries yesterday afternoon at the Kingston Public Hospital (KPH). He was 36. Edwards, who was known for his warm and inviting personality, is survived by a six-week-old daughter, his life partner, doting mother, five sisters, four brothers and other relatives – as well as group members/brothers, Kevin and Craig. This sad development has also plunged the culture, entertainment and media communities in mourning. It’s over, O’Neil. Enjoy your rewards. God needed another bright star, and God knows best. 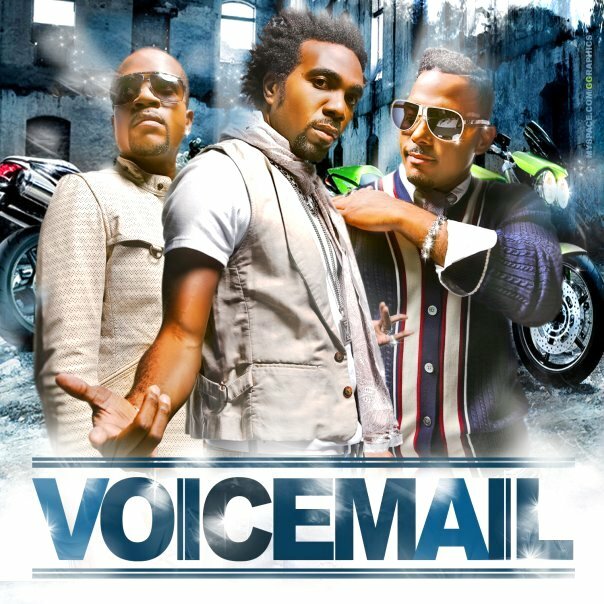 Voicemail member CRAIG: Trying to close my eyes but they wont shut but like i said to my family frens and fans ONLY GOD UNDERSTAND...i love and miss u oniel. Singjay MR. VEGAS: RIp oneil, we know you will be making music with your maker. 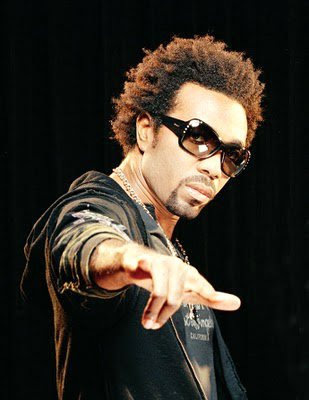 Singer CE’CILE: RIP my very good friend ONEIL! Reminding us not to get soft! Evil must be dealt with, love must prevail! Singjay CHINO: R.I.P me good friend oneil. Jah have him in a better place a sing and dance same way. 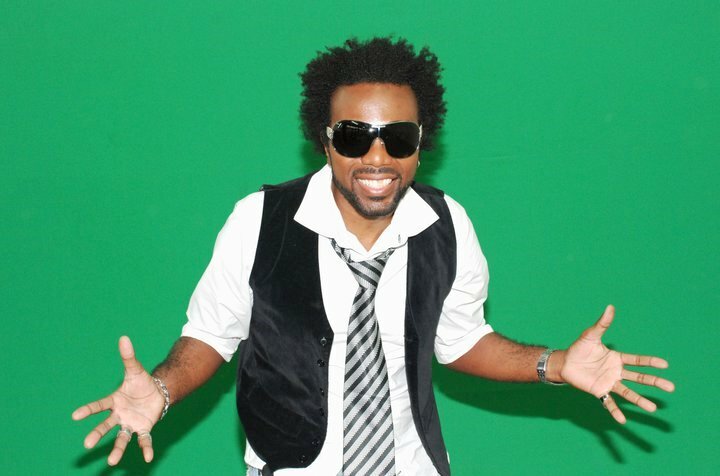 Singer NATEL: R.I.P Oneil...sigh... You definitely won't be forgotten!!!!! Radio/TV personality MISS KITTY: My heart is so sad and the pain I feel runs deep. Oneil my friend ur life was a gift and legacy a blessing. may we all learn to truly love b4 its too late. CALABASH COUNTDOWN: Flashback '09, Flashback '09!